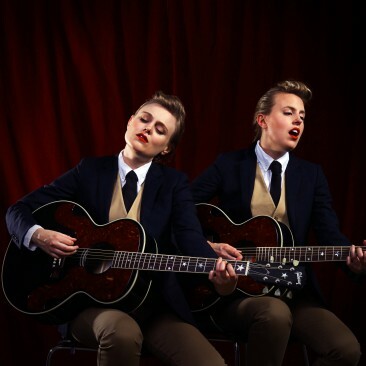 With a classic, retro flavor Abigail and Lily Chapin are bringing music from the late 1950s into the 21st Century. The Chapin Sisters take us on A Date With the Everly Brothers, an album set for release by Lake Bottom Records on April 23, 2013. The sisters have definitely been studying what the brothers were famous for, employing melodically crafted two-part harmonies to convey a dreamy sense of longing. Filled with songs like “Crying In the Rain”, “When Will I Be Loved”, and “Always It’s You”, the album holds a nostalgic captivation which breathes a sense of youth and innocence into the air. “Sleepless Nights” and “Down In the Willow Garden” are two of my favorite tracks, but honestly the entire album from start to finish was an enjoyable listen. The Chapin Sisters with their lovely voices have put together a timeless tribute to the beloved Everly Brothers, sure to be appreciated by those who know the music by heart, as well as those who may have never heard it before. With roots running deep into the late 80’s and 90’s alternative scene, Lisa Germano channels her years of emotional experience to release her 12th album, No Elephants. Staying true to her easy, soft, and often hushed singing voice, Lisa adds colorful, quirky sound effects all throughout the twelve tracks of her latest attempt. 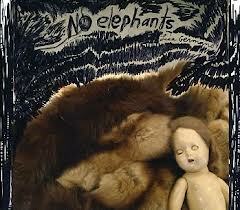 Piano work is slow and dark in “Last Straws For Sale”, “Diamonds”, “Back to Earth”, and the first track, “Ruminants”. “Dance of the Bees” has a ‘Yanni meets Trent Reznor for a few drinks’ attitude. “Haunted” offers a slightly upbeat and positive tempo to trace your thoughts upon. Album releases February 12th from Badman Recordings. In the early 2000's British Band The Smoke Fairies started an adventure that took them from the streets of New Orleans to the Folk Fest of London England. What it has given us is their third Album and a great 2012 release. Blood Speaks brings all of this young up and coming band’s influences to the table on this recording. The first track "Let Me Know" gives us a chance to experience this band’s melodic side, then moves into the sick Southern Slide of "The Three of Us". The progression of sound and the harmonies make this a diverse album. The title track "Blood Speaks" sounds like a cry mixed with an anthem to a youth. This 2012 release covers twelve tracks that make for some great morning tunes for a music fan looking for a new sound. Take a listen to this deep sound and decide for yourself if this is an album of a different musical generation. 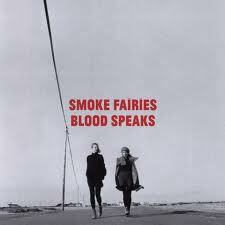 I say that Smoke Fairies are a band that will make big moves in the next few years and we all should take notice. Start by getting your hands on this newest album by the band and see where it may take you. The newest album by Boston based band Big Dipper is the band’s fifth album and an ALMOST READY RECORDS release. From the first track "Lord Scrumptious" to the last "Guitar Named Desire" this band has brought fun and solid sounds to the table. 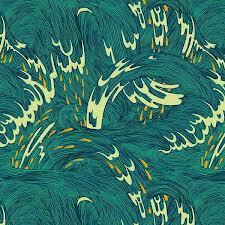 The Indie Rock Group seems to show maturity and progress with each album and this is no different. Listen to the track "Princess Warrior" and get a feel of how these four kids from the north east can have such a passion for the sound. Crashes on the Platinum Planet has 12 tracks that have the ability to make this Album reviewer stand up and take notice. The smooth sound the band rocks on the track "Hurricane Bill" gives you a sense of something past 60's British Rock Bands may have been looking for to complete their sound. In my opinion there is nothing better than listening to something that you don't know what to expect. And Big Dipper has done that for me and can do the same for you. 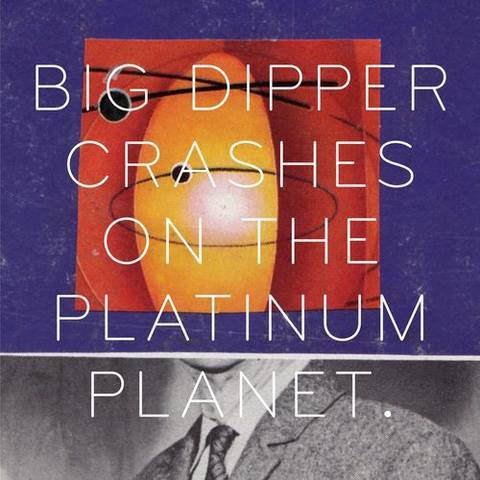 Check this band out on Facebook and get this new amazingly fun album by Big Dipper. 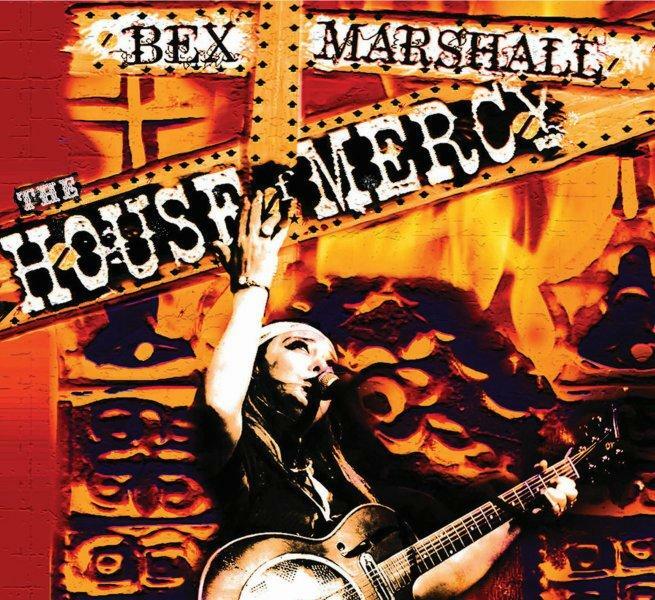 The album House of Mercy continues Bex Marshall’s strong influenced Mississippi Delta Blues-meets-country gospel sound, and although she is a British musician, she delivers a genuinely American-roots style. Marshall tells her soul driven tales with the big sound she brings and the finesse of a truly inspired songstress. The album’s title track “House of Mercy” showcases Marshall’s raspy, blues voice and excellent execution of her well-polished sound. “Gone Fishin” is another track that paints a picture of great blues folklore of the Mississippi Delta region. This album is solid from track to track. Definitely one to keep an eye out for! 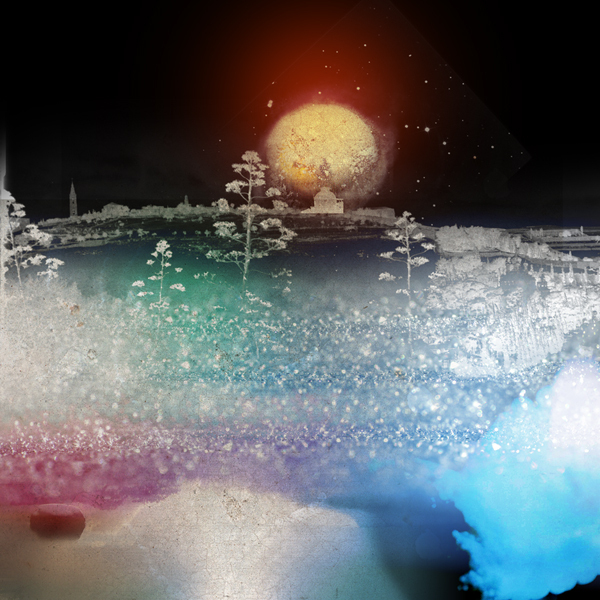 If you are in the mood for a different flavor of music, something that takes on experimental, psychedelic, improvised instrumentals, come take a ride with the new album Photos of Photos, by Carlton Melton. The hypnotic trance that is created is pleasant as well as meditational. It was recorded in the geodesic dome in Mendocino County, which really adds an extra layer of the deep space travel sounds that are created. With songs such as “Space Treader” one can only expect to travel on the journey with the San Francisco based, four piece band, Carlton Melton. Definitely one to add to the repertoire for that extra step out of reality for a minute, and just RELAX! 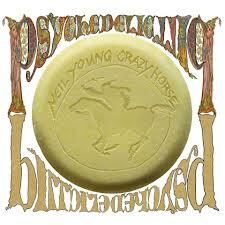 Psychedelic Pill is a sprawling, brilliant mess of an album, one that finds Neil Young returning to what he does best with Crazy Horse. A gargantuan, lumbering rhythm section and Neil spewing distorted, loose leads all weave together into a tapestry of sonics that sound both trashed-out-garage and spritually-enlightened-outdoor amphitheater. 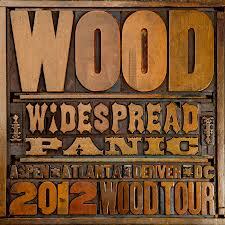 This is jam band music of a different order. It's not about technical virtuosity, but pure unvarnished grit and soul. That being said, Psychedelic Pill may not be the most accessible entry point for Crazy Horse neophytes. The album is long and contains only 8 songs. The opening track, "Driftin Back" clocks in at 27 minutes, and it's daunting. "Born in Ontario" and "Twisted Road" are a pair of classic-sounding Young tracks that might seem redundant if it was anyone else, but since it's Neil, it never gets old. "Ramada Inn" and "She's Always Dancing" are longer workouts, and contain some great guitar explorations. Just when things seem to be winding down, out rolls "Walk Like a Giant", which literally gave me goosebumbs the first time I heard it. Psychedelic Pill is very off-the-cuff lyrically, to the point that verses spill over and don't rhyme. It doesn't matter. This is about the music. 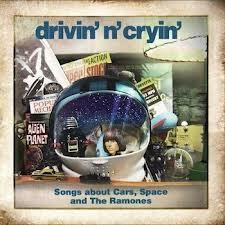 This is the best Crazy Horse album since Ragged Glory. The only thing I might recommend is shuffling the song sequence. "Walk Like a Giant" seems like such an appropriate opener for an album. So put away the electric cords and break out the wood for this one. It is a top 10 pick for the holiday season. And if you are a Jennifer Hartswick fan, then you will really enjoy the Gorillaz tune "Clint Eastwood" which shows Jennifer's pipes are not just for the horn. And along with all the great tracks on this one they have included the bonus track "Greyhound Rising" to complete this eleven track new album by Trey Anastasio and his band. Take this one with you on the road, for it has great "Traveler" tunes. With the release of their fifth album and a summer tour that ran from coast to coast, New York based JD & The Straight Shot have reason to be excited. Midnight Run, released on the Indie Label, has a nice Classic American sound with a twist of New York style grooves. The album has some great tunes and also gives a nod to Payne, Barrere and Kibbee of Little Feat with a pretty piano swing on "Let It Roll". The album also shows their love for bluegrass and rock sounds with some great banjo picking in the title track "MIdnight Run". This album has already caught the attention of AMC's hit TV Series "Hell on Wheels" who is using the track "Can't Make Tears". And when you hear frontman Jim Dolan's tune "Voodoo Stew" you will wonder how this creative musician, songwriter, and band leader has time for a day job. With all that Jim and The Straight Shot have on their plate, this new album is a treat for a feast. It’s a great album to enjoy with family and friends of all ages. 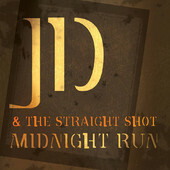 Check out JD & The Straight Shot at http://www.thestraightshotmusic.com/ and download the newest album Midnight Run for the holiday season. Were you one of the 17,666 that were in Auburn Hills Michigan on December 6th 1997? 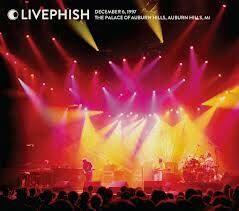 If so then you know just how great this newest of the ongoing LivePhish Archives collection is. The live recording was released on September 25th on a digitally remastered double disc and also available for download at LivePhish.com. This most recent release reminds us why we all love this band so much. From the first track "Golgi Apparatus" to the second and a sweet groove of "Antelope" you know that this will be something special for all who were there and those of us who wish we were. The first set holds true to form for the boys from Burlington. A solid set with some beautiful transitions from song to song. First set highlights include a very strong pairing of "Bathtub Gin" to a crazy "Foam" intro and continuing with "Sample”, “Fee”, “Maze" and a high energy first set closer with "Cavern". But for most of us the real butter is in the second set with non-stop jamming that gave the audience some new, some old and something to Reprise. The Band never let up on their third run to Auburn Hills, and with the first lick of "Tweezer" the crowd never sat down. "Tweezer" led into a guitar shredding Jimi Hendrix tune "Izabella" that found its way to the new tune "Twist Around". The band never took a breath as the jam continued to a sweet builder in "Piper" down to Fishman hitting the high notes in "Sleeping Monkey". And to end the set they come full circle with "Tweezer Reprise". Each song carried a long jam that the band created as a musical conversation between each other and the audience. Ending it all with the bluegrass classic "Rocky Top", it is easy to see why the fine folks at Phish Camp made this gem the next release in the LivePhish Archives collection. So to the 17,666 fans and the Band, thank you so much for letting us in to the show. Now we must play it in one sitting at the highest volume and dance, dance , dance. I have always regarded Keller Williams as possibly one of, if not the most, talented acoustic artists on the scene today. I have recommended his live performances as my favorite act to attend for several years. The charisma he exudes is considered by many as comedic as it is musical, and is worth the price of admission itself. Typically playing solo, he has been known to mix it up with supporting musicians historically; with projects like “Dubalicious”, “The WMD’s”, “The Keller Williams Incident” and he has even tried his hand at bluegrass, with “Keller and the Keels”. Accompanied by Keith Mosely and Jeff Austin of Yonder Mountain String Band, he graced fans with the release of an all bluegrass tribute Grateful Grass, a foot stomping album consisting completely of Grateful Dead covers. As a devoted fan of both Keller and bluegrass, I was intrigued by his newest project where he teams up with superband, “The McCourys” as they tour promoting their new album Pick. His 18th album sheds light on yet another aspect of Keller, and proves he has and will continue to keep fans satisfied. His new album is a testament showing off another one of his many talents as a successful frontman and bandmate. 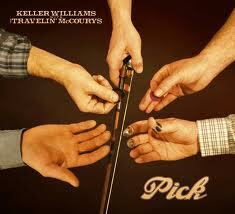 Credited to “Keller Williams and the Travelin McCourys”, Pick is a studio masterpiece celebrating many wonderful talents, supported by the entire band, whilst still maintaining Keller’s playful charisma. With fresh original songs like “Broken Convertible” and Jason Carter’s superb fiddle work on “Something Else”, Pick offers some new instrumental madness, accompanied by lyrics reminiscent of Keller’s solo originals that will have you laughing out loud. Some of his popular originals like “Mullet Cut” and “I Am Elvis” also made the cut, with the pleasing addition of stellar mandolin play by Ronnie McCoury and banjo boogies by Rob McCoury. Alan Bartram provides a booming bass line, allowing Keller and the gang to put a delightful twist on popular cover songs as well. He has been known to recreate his own versions of new and classic covers, and Pick does not disappoint. Making an appearance on the album are taboo versions of “I’m Amazed” by My Morning Jacket, Mike Daughty’s “American Car” and Jesse J’s “Price Tag” to name a few. Closing the album, “Bumper Sticker” epitomizes the synergistic talents. Keller even managed to get folk legend Del McCoury to contribute his vocal skills on the final track. Between the band’s fast paced pickin’ and listening to Keller and Del sing about “Hippies not using shampoo”, “Bumper Sticker” is an appropriate finish, sure to leave any listener permanently grinnin’! 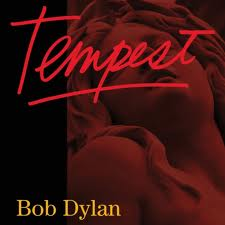 Things still ain't going well on Dylan's new album ,Tempest, an absolute stunner of a record that feels like the proper follow up to Modern Times. ( 2009's Together Through Life seemed weak and out-of-place, but in retrospect, a stop-gap detour). The same themes are present, but Dylan really ups the intensity. His voice is as ragged and damaged as ever. "Duquesne Whistle" begins the record innocently, maybe the sweetest thing on here, but, after that, things get brutal really quick. "This is hard country to stay alive in, Blades are everywhere, and they're breakin' my skin, I'm armed to the hilt, and I'm strugglin' hard, You won't get out of here, unscarred" he belts out on "Narrow Way", over a white-hot, honky tonk rhythm. Time seems skewed in the modern Dylan universe; Biblical worlds bump up against the present. He's a judge and the judged in an impending apocalypse, a hangman and the hanged in the post-apocalypse. Those threats keep coming! Over the standard-stop-start blues beat (think "Hoochie Coochie Man") of "Early Roman Kings", Dylan spits "I can strip you of life, strip you of breath, Ship you down to the house of death". "Pay in Blood" contains more savagery per line than any Dylan song ever, too many to mention. At his most bile-throated yet, he practically barks the recurring line "I pay in blood, but not my own". Even the mellow waltz of "Soon After Midnight" hides treachery:"Two-timing slim, who's ever heard of him, I'll drag his corpse through the mud".On "Long and Wasted Years", the most Dylan can muster is smug admonishment to a woman of his past. The way he belts out "Oh baby, you just might have to go to jail someday" makes me chuckle. There are two wild cards on Tempest. The last track, "Roll On John", about the slain former Beatle might seem out of place. But it's a nice respite from the blood-spilling that preceeds the record, a possible lament to or plea for a purity that was lost. The title track is a 14 minute, 40-odd verse rumination on the sinking of the Titanic. Critics have made such a big deal about the fact that it's not historically accurate. Fact, fiction, myths, even movie characters all fall into the sea. It's basically Dylan's version of a traditional tragedy song. It is grueling, and indulgent, yet not unlistenable. 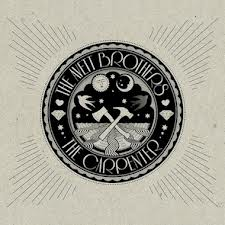 The Avett Brothers "The Carpenter"
"The Once and Future Carpenter" is a warm opening track, like an old friend who's returned after a long absence. That line "if I live the life I'm given, I won't be scared to die" comes to the forefront. "Live and Die" is catchy, but more style over substance. With "Winter in My Heart" the music takes a somber, yet more exciting turn. There's plenty of great lines in almost every song; "Febuary Seven" ("And as the last of breath was drawn from me/ the light broke in and brought me to my feet"; "Down with the Shine" ("Things change and get strange with the movement of time/ It's happening , right now, to you"); and "Life"( "Wouldn't it be fine to stand behind the words we say in the best of times?") "Through My Prayers" is the real tearjerker on the record and I'll admit I got misty-eyed. Yet, I feel conflicted about it. Part of me thinks it's great, but then it feels at times like Avetts-by-numbers. 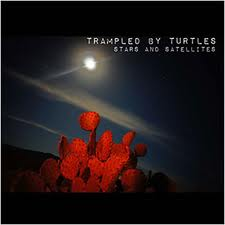 Trampled By Turtles "Stars and Satellites"
In April of this year, TBT released Stars and Satellites. It's Palomino turned on it's head. A desolate, rural melancholy is at the forefront ("High Water"). The lightning-fast hoedowns are minimized ("Risk"). It feels like they're trying to break into a new realm or have already-but just barely. If they have, I wouldn't say they know how to flawlessly maneuver through it yet. 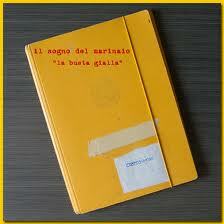 Lyrically, they can be odd, even opaque at times. It's simultaneously fascinating and frustrating. The few ragers can be jolting alongside everything else.Most of Stars and Satellites isn't exactly easy listening. I don't mean it's necessarily depressing.or uninviting. It's something that demands repeat listens. More gets revealed each time. 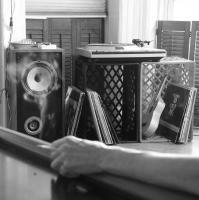 Those kind of records can be the most rewarding in the long run. That's why it's one of my favorites this year, so far. Trampled By Turtles have six albums-Songs From a Ghost Town (2004), Blue Sky & the Devil (2005), Trouble (2007), Duluth (2008), Palomino (2010), and Stars & Satellites (2012). Also check out www.archive.org for some great band-approved live downloads. But, please, if you like them, support them. Buy a record, ticket, or t-shirt. The name is silly, but the music is not. I kind of like that contradiction!